My preschooler, Emily, loves ‘doing school’ like her big siblings. And while she has a few workbooks, I know that learning through play is what preschoolers do best. Hands on activities, and learning how the world works through manipulative and natural play are the things I look for when choosing school activities for her. 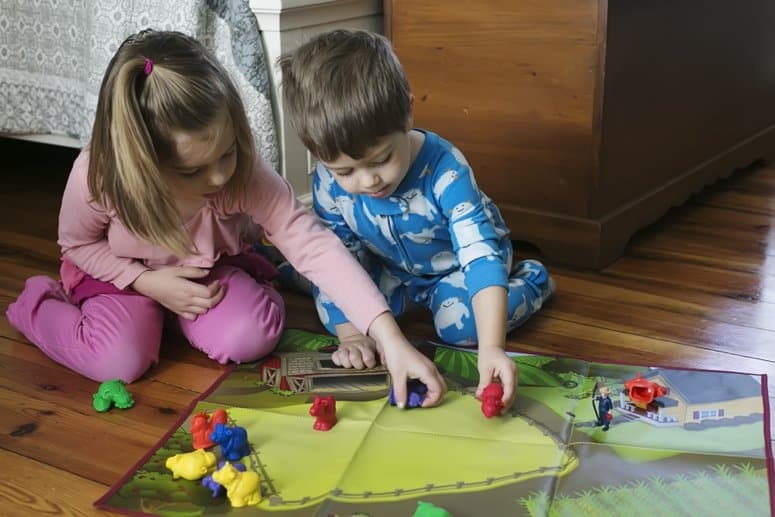 Timberdoodle’s exclusive Farmland Math Mat Bundle is a great way to expose Emily to math concepts and thinking skills. 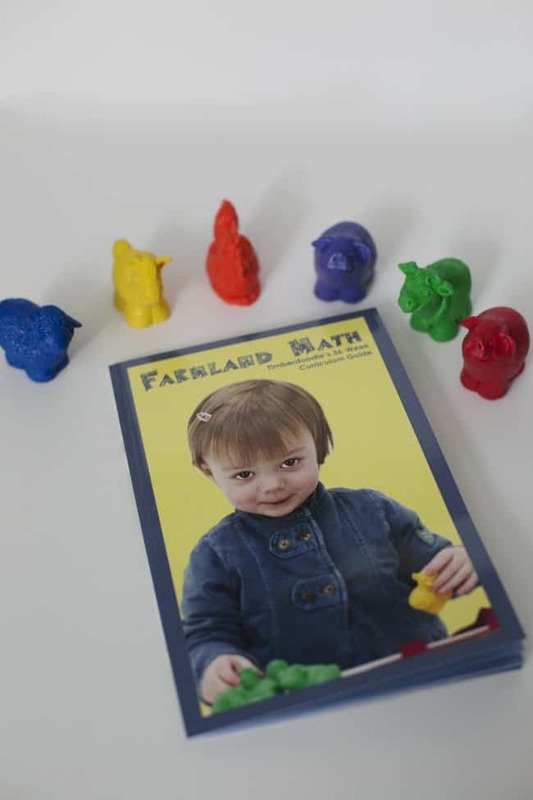 The bundle comes with a 36 week Farmland Math curriculum guide, a wipe-clean farm mat, and 30 jumbo farm animals. 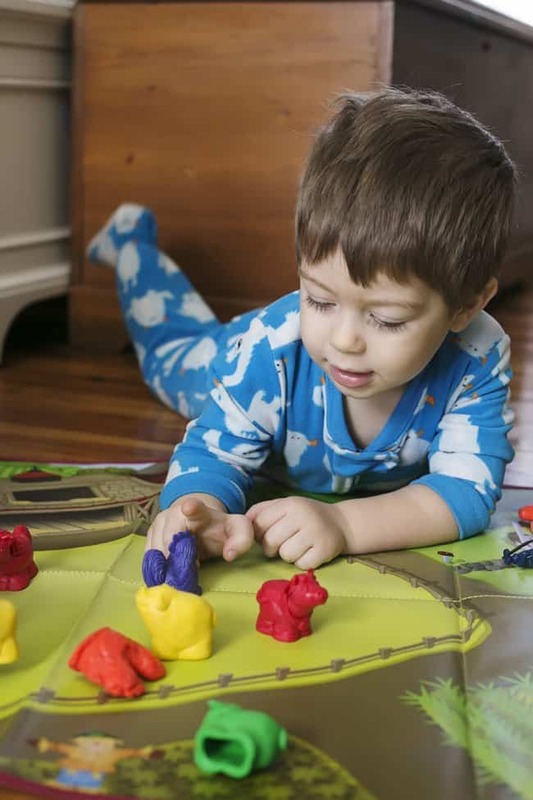 The 36 week curriculum guide teaches preschoolers math concepts such as grouping by color, counting, patterns and simple addition and subtraction. Preschoolers love repetition, so each day we complete the math story again. By the end of the week Emily really understands each math concept, in fact she can walk me through the story herself. She likes turning the tables by telling me the story while I answer the questions. I love this math curriculum for Emily, it’s such a fun way to teach math skills. Not only is it great for her at 4 years old, but I’m amazed at how much my 2-year-old son is learning while we ‘play’ math. 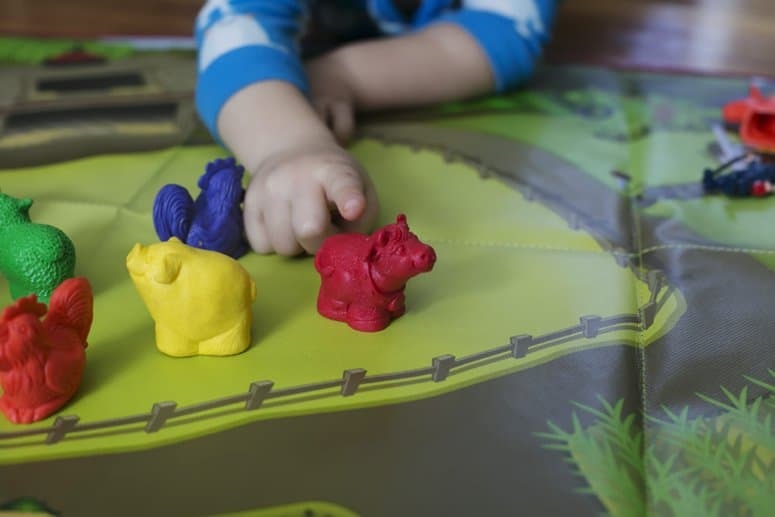 He can already group the animals by type and color, and place up to two animals in correct locations. I think he may be ready for the full curriculum next year! 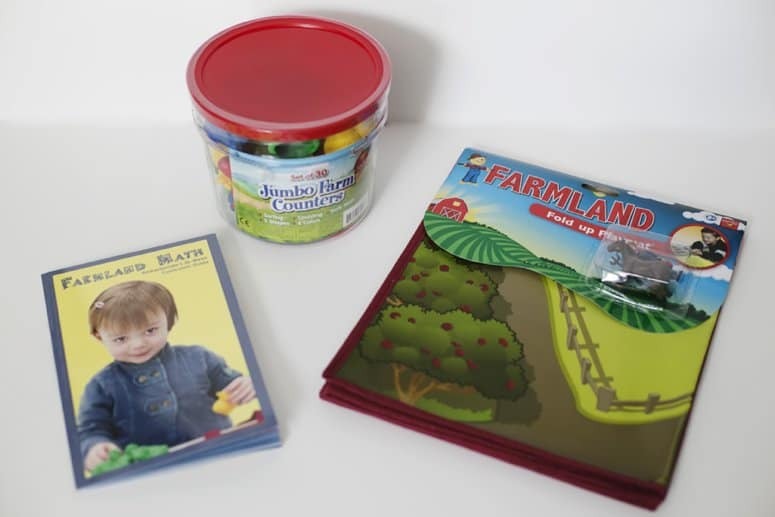 Timberdoodle offers the exclusive Farmland Math Mat Bundle individually, or as part of a full preschool curriculum set. If you are looking for a great hands-on learning curriculum for your preschooler definitely check Timberdoodle out!